Showcasing exceptional design, space and position this executive lifestyle property located on a quiet cul-de-sac in the favoured Kirwee Township is sure to appeal above the rest. The high spec architecturally designed (Bryce Monk) 305m2 home built in 2010 enjoys many outstanding features including: •3 generous double bedrooms with master enjoying an ensuite and WIR. •Large office upstairs that can be supplemented as a fourth bedroom. •A well-appointed kitchen with butlers pantry located in the spacious open plan dining/living with external access through bi-fold doors to outdoor patio areas. •Separate formal lounge featuring logburner and external access. •Family bathroom with tiled shower complemented by a separate toilet/powder room. •Dedicated laundry located adjacent to the internal access double garage. •Sundance spa pool positioned in covered area. •Heating supplied via hydronic underfloor heating system throughout the home accompanied by the logburner ensures comfortable living in all seasons. 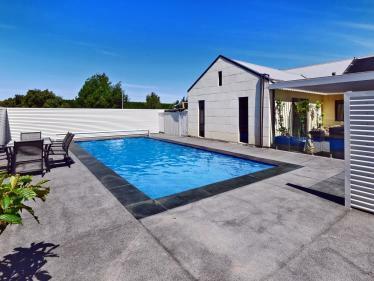 •Outbuildings include a high stud 180m2 fully enclosed shed with 3 roller doors and power connected plus a woodshed. 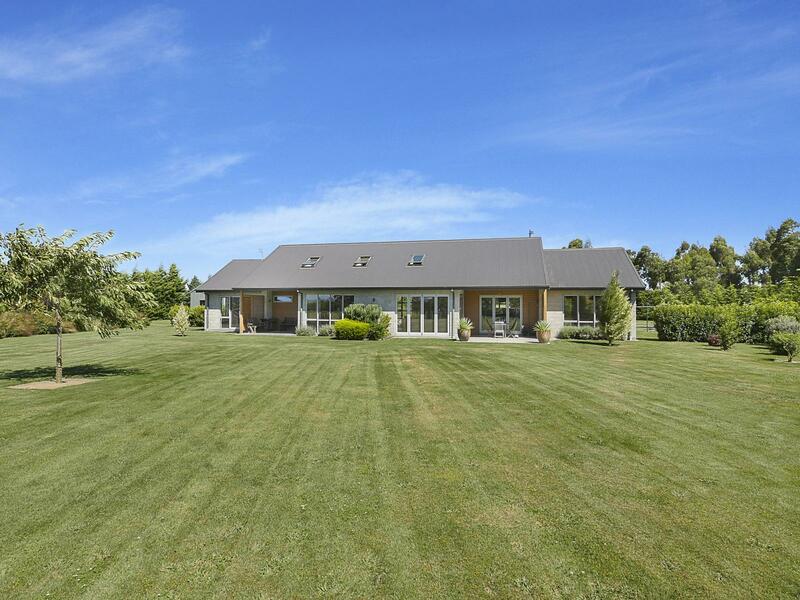 A superb 1.1-hectare lifestyle property set in established easy care grounds within comfortable commute to Christchurch City and only 20mins from the Airport. 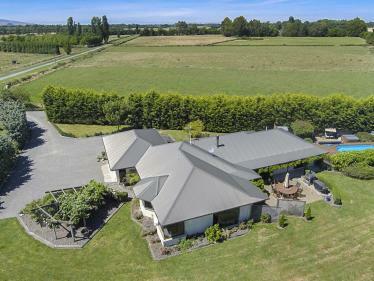 Here is your opportunity to secure an outstanding lifestyle property that has been developed with excellent attention to detail and offers something a little more special for the discerning purchaser. Inspection will not disappoint.